William Duarte, D.A.O.M., L.Ac., E.A.M.P. Dr. William Duarte recently relocated to Kirkland from Portland, Oregon, where he maintained a holistic health practice for 25 years. He is a nationally certified and state Licensed Acupuncturist, as well as a Certified Homeopath from National College of Naturopathic Medicine. Dr. Duarte holds a BA in Chemical and Biological Sciences from the National University of Mexico, an MA in Psycho-physical Therapies from the Mexican Institute of Human Improvement and a PhD and MA in Acupuncture and Oriental Medicine from the Oregon College of Oriental Medicine; where he subsequently served as a faculty member for many years. 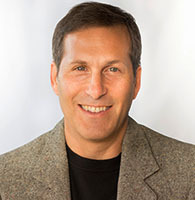 Robert graduated from the University of Michigan in 1985 with an MSW. After five years of counseling for private, public and state agencies in California, Massachusetts and Washington, Robert opened Hirsch Counseling and Consulting in Seattle in 1991. 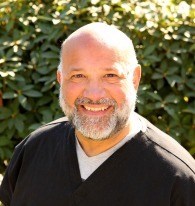 He joins Kirkland Whole Life Clinic with over 20 years of counseling experience. Robert was moved to study counseling when, as a youth and young adult, he inexplicably experienced profound feelings of love and happiness. In the aftermath of each experience he was struck by the pain he felt in being unable to sustain the experience. Since then he has dedicated his life and practice to a serious exploration of the causes of suffering and how to live as love. His process has led him to several great Spiritual Teachers that emphasized the power of Love in healing the human heart of suffering. Robert specializes in relationship issues and the treatment of depression, anxiety, addictions, and sexual issues. His approach is holistic and compassionate, helping clients deepen their self-understanding, while increasing their capacity to respond positively to all feelings and circumstances. 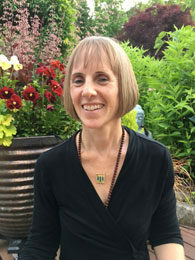 Sonia Weirich is a 500 E-RYT yoga instructor and educator with 15yrs of experience. She participates is in a renunciate study program with her non-dual Guru and she holds a black belt in Shotokan Karate. These combined experiences provide the unique energy and perspective that Sonia brings to her individual client sessions. As part of the team at Kirkland Whole Life Clinic, Sonia has integrated the philosophy of whole body health to her naturally intuitive sense of form, motion and breath to assist patients in rebalancing their being. Inspired by the transformation she has seen in her clients on all levels (physical, mental, emotional, and spiritual) Sonia is currently working to obtain her Yoga Therapy certification so that she can better serve the community.